The proximity to Wandsworth Common makes Balham perfect for those looking to get fit and enjoy the outdoors. 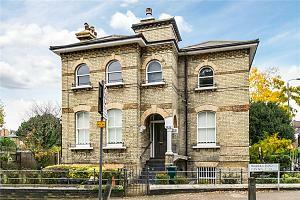 The properties available are predominantly Victorian with large terraced and detached properties as well as mansion blocks and conversion flats. The area has seen many recent developments, including Flow and Nightingale, Devonshire Place and Balham Walk. The Heaver and Hyde Farm estates are particularly popular with families due to their location near Tooting Common and the selection of large terraced and semi-detached properties available. Balham Park Road, Elmbourne Road and Nightingale Square, which has a private residents’ garden, are amongst the most desirable streets. There is vibrant nightlife in Balham including chic cocktail bars such as Harrisons and classic British pubs such as The Regent and Balham Bowls Club. Hagen & Hyde and The Exhibit are open until late for those who are after a longer night out. One of the oldest buildings in Balham, The Bedford, hosts The Balham Comedy Club in July. These evenings have boasted well-known headliners including Eddie Izzard, Al Murray, Reginald D Hunter and Marcus Brigstoke, who lives locally. 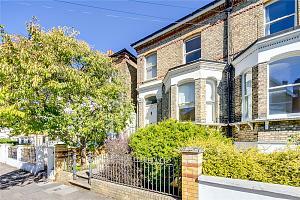 Balham is a particularly green part of London, surrounded by Wandsworth Common, Tooting Common and Clapham Common. These areas make Balham a perfect location for keen joggers and dog walkers, as well as families who want their children to be able to make the most of good weather. A number of high street names, as well as independent retailers and butchers can be found in Balham. A farmers market is held every Saturday at Chestnut Grove School, with over 20 stalls attending most weeks. There is also the Hildreth Street market, currently undergoing refurbishment. A variety of world food is available at Balham’s restaurants or for those who prefer something traditional, Lamberts is a popular place for seasonal British food, complimented by an extensive wine list. Notable Primary Schools in Balham are Holy Ghost Catholic Primary School and Alderbrook Primary School, with Chestnut Grove School and Emanuel School in Wandsworth Common achieving good GCSE results. Good transport links mean Victoria, the West End, the City and Waterloo can be reached in 15-20 minutes via the Northern Line or Southern trains. If you are looking for a property in or around Balham, please get in touch by calling our branch on 020 3040 8568.